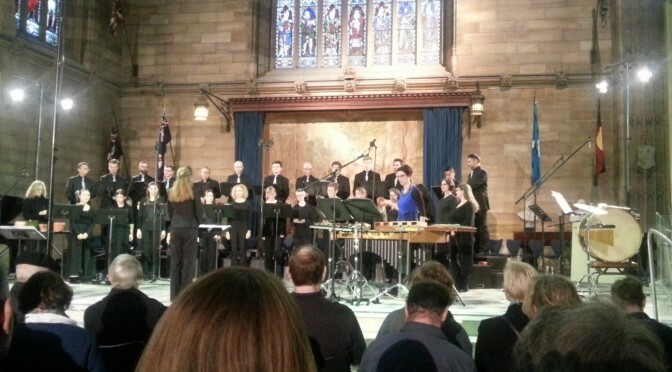 The first Sydney Chamber Choir concert for 2014 collaborated with fine soloists and The Metropolitan Orchestra (TMO) to present musical ingenuity from over the past four and a half centuries. Guest conductor Richard Gill was faithful to every ground-breaking composer from each era. He wrought intelligent and measured performances not lacking in resounding climaxes and a wealth of nuance. The architecture and choices for instrumentation of each work were allowed to express themselves with clarity. Australia’s most admired conductor and respected musical educator, Richard Gill, has been announced as the incoming Musical Director of the Sydney Chamber Choir. Richard will take over from Paul Stanhope who was recently appointed as Artistic Chair of the Australia Ensemble. 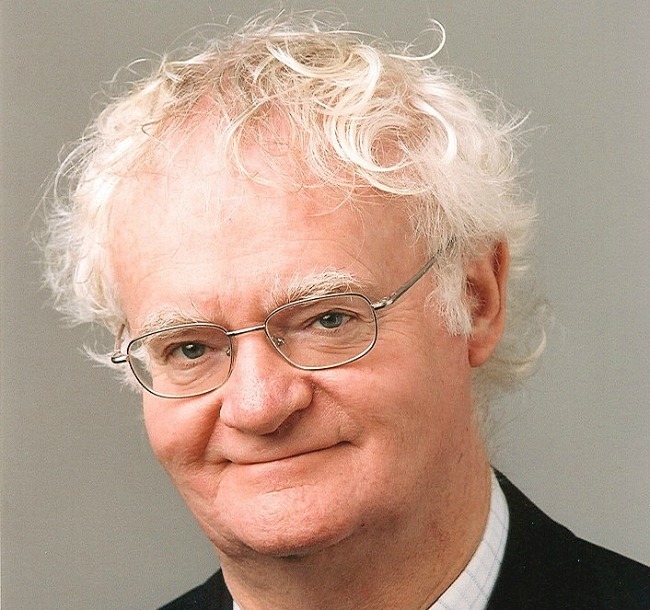 No stranger to the Sydney Chamber Choir, Richard Gill has been the Patron to the choir since 2009 and is guest conductor for the first concert of their 2014 season on Saturday April 12th at City Recital Hall, Angel Place. Having attended and reviewed three performances now, I am rapidly becoming a fan of this Choir. Their latest offering is one that spans European and Asian, specifically Chinese, musical traditions. The program opened with the traditional Western music for which this choir is renowned, including works by Hildegard of Bingen, Tallis and Josquin des Prez. However, these were paired with complementary works on the same themes, including traditional Jewish chants (beautifully sung by Rob Hughes and Sebastién Maury) and a 2008 work, “Deserts of Exile”, by Paul Stanhope, the Choir’s director. I especially loved the closing ‘sighing wind’ sections of the “Deserts of Exile”. The opening work “O Quam Preciosa” took full advantage of the wonderful acoustics of the venue, delivering an ethereal, angelic sound, which really set the audience up for an evening of enjoyment. The accompaniment with the traditional Chinese instruments of the erhu (‘viol’) and guzheng (‘harp’) really worked and created a beautiful fusion of East and West. I look forward to more of this fusion music. The second half of the concert was devoted to newer music, including several world premiers of works commissioned specifically for the choir. These included works by Percy Grainger, new settings by Julian Yu of traditional Chinese Flower Songs and the setting of “Poem 1”, written and composed by Xingzimin Pan. It opened with Grainger’s “Australian Up Country” song (from his Stephen Foster inspired period) and “Brigg Fair”, which were both beautifully rendered. However, for many of the audience it was the piano performance of young Joshua Han (aged 11 years) in “In Dahomey” which really took our breath away. This young man has superb and mature technique which well supported his excellent performance of this fun work. Expect to hear more of him. This was followed by Lucia Li (also 11 years old) playing the Grainger setting of the traditional Chinese song “Beautiful Fresh Flower” – a total contrast to “In Dahomey” and drawing on the traditional ‘feminine’ grace associated with this genre of songs! I would suggest downloading the sheet music to this one as it should be fun to play. The final two works were a group of [Torres Strait] “Island Songs” by Stephen Leek and Ross Edwards’ “Mountain Chant”. In the Island group of songs, you could clearly hear the ‘canoe paddle’ rhythm underlying the song. Glad to say that I could hear every word of these songs! The last work, “Mountain Chant”, took me back to my times in the Warrumbungles. For those of you who have not been there, I would give them a little time to recover from the recent devastating bushfires and then visit. This music will really help put you in touch with their spirit. The lovely use of bass, the reference to didgeridoo rhythms and frog sounds really helped create a strong sense of place. We were also treated to a traditional Taiwanese song as an encore. The Choir is about to go on a tour of Asia, so we were all privileged to hear this wonderful repertoire with so many newly commissioned works prior to their departure. I am sure they will have a successful tour. The concert, performed at Chatswood’s Concourse theatre on Saturday September 21, was recorded by ABCFM, so do make sure to catch it. Ahead of their upcoming tour of Asia, Sydney Chamber Choir (SCC) is presenting Cross Sections, a rich program that integrates the Western choral tradition with the exotic sounds of the Chinese Guzheng (Chinese harp) and Erhu (a traditional bowed string instrument). 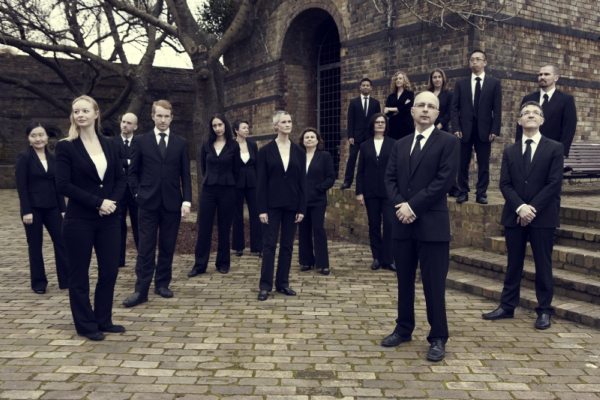 Founded in 1975, Sydney Chamber Choir has forged a reputation as one of Australia’s leading choral ensembles. It is especially renowned for its interpretations of Renaissance and Baroque works and as a champion of contemporary Australian choral music, having commissioned and premiered works by many established and emerging Australian composers. Presented at the new Concourse in Chatswood, SCC Musical Director Paul Stanhope has designed a musical journey that, like our contemporary culinary tradition, presents a fascinating fusion of influences to create a refreshingly spicy dish of sonic delight. The pairing of music by ancient masters Josquin, Tallis and Hildegard with newer work by celebrated Australian composers Clare Maclean and Paul Stanhope not only highlights a stylistic contrast, but also draws together themes that remain universal across the vast differences in time. As the program flows the diversity of Chinese folk songs, music from the Torres Strait, pieces from pioneering Australian composer Percy Grainger and contemporary composers Stephen Leek and Ross Edwards are stirred into an engaging musical melting pot! Grainger, who ahead of his time saw Australia as being part of Asia, arranged the Chinese Folksong Beautiful Fresh Flower for piano. Chinese-born Australian composer, Julian Yu will complete new arrangements of Grainger’s piece for Choir with the unusual addition of traditional Chinese instruments – the Erhu and Guzheng – providing an opportunity for the choir to perform in Mandarin. Guest musicians for Cross Sections include Dr Nicholas Ng, a composer, performer and Research Fellow at Queensland Conservatorium Griffith University, who will play the Erdu; and highly accomplished and sought after guzheng player, Jingjing Lu who has been playing the guzheng since she was 6 years old. The concert also features two prodigious 11 year old pianists tackling the intricate works of Percy Grainger. Following the performance at The Concourse on 21 September, Sydney Chamber Choir will be performing Cross Sections throughout Hong Kong and Taiwan in their first-ever Asian tour. The tour includes a performance at the Taiwanese National Concert Hall as well as series of concerts and workshops around Taipei. CROSS SECTIONS will be performed at the Concourse, Chatswood on Saturday September 21 at 6pm. Bookings-http://bit.ly/13BG7Pj. 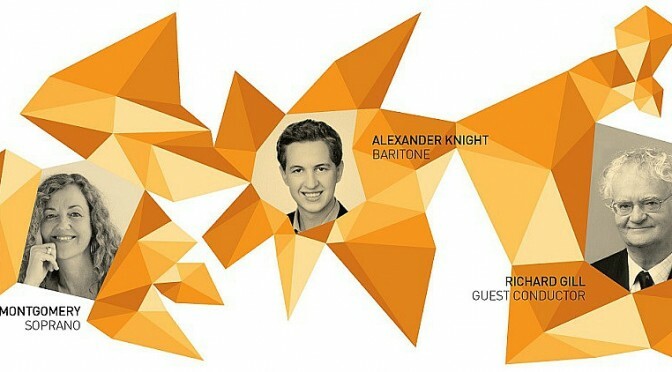 Appropriate to this anniversary year, the program for this concert entitled TALE OF TWO CITIES had a particular focus on Benjamin Britten, works he would have known and been influenced by and works which have been influenced by him and his predecessors in the great English choral tradition. The concert opened with both choirs singing Jackson’s Sanctum est verum lumen. This beautiful work opens with a great chord which the program notes describe as a nebula, but which I would describe as a nova, so powerful is its impact. 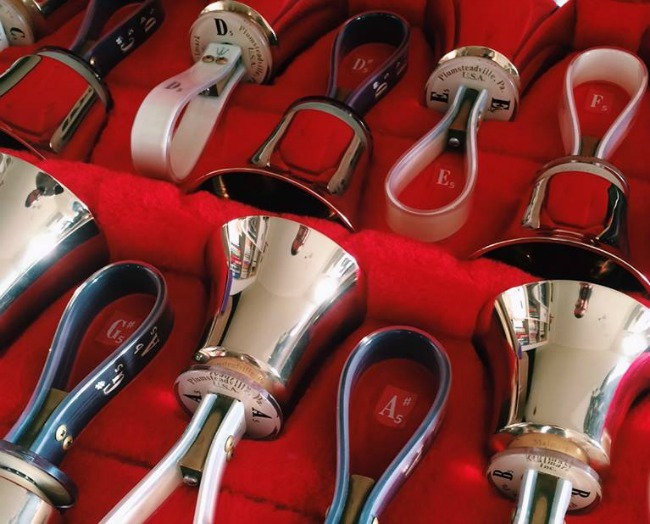 This piece demonstrated how well the two choirs blended. The next group of works was sung by the Sydney Chamber Choir. First up was a selection of Britten works from AMDG, his settings of poems by Gerard Manley Hopkins. The opening section, Deus ego amo, was beautifully crisp and the Prayer 1 section displayed the delectable harmonies for which Britten is famous and to which the choir did justice. The final section in this group was The Soldier which uses military rhythms and relies on clear articulation from the choir to work. It did. The next work was Jackson’s Cecilia Virgo in 24 parts. The beautiful descending phrases at the beginning and end really did sound like the bell peals they were imitating. This work also has some beautiful dissonances. The Lament to Saint Cecilia, composed by the choir director, Stanhope, to a poem by Veronica Pamoukahglian, gave the choir a chance to show what they could do in terms of a dazzling flow of melody. I look forward to hearing more works from Mr Stanhope. The final work in this group was Britten’s well-known and loved Hymn to Saint Cecilia, based on Auden’s Anthem for St Cecilia’s Day. It was easy to hear that the choir loved singing this. They embraced the whole work and danced through the beautiful, floating harmonies and lovely canon sections. Special mention must be made of the soprano soloist whose bell-like singing was heart-piercing. The second half of the concert opened with both choirs singing Britten’s A Hymn to the Virgin. This work was absolutely beautiful. Hard to believe that Britten was only 16 (and sick) when he wrote it! The next group of works were sung by the Adelaide Chamber Singers. They opened with Maclean’s Et misericordiae. Maclean is a modern Australian composer whose work I had not previously heard. In this work, I noticed the difference between the two choirs. The Adelaide choir seemed to have a richer deeper tone. However, they sang this most challenging and complex work with finesse, drawing out the inter-woven melodies. Their soprano soloist was superb in the “He has the rain…” section and was supported by some beautiful drone singing. This is a beautiful composition, but sad as you would expect in a text from Job. The next work saw a return to Britten’s AMDG with Rosa Mystica. This section of AMDG is very different to the earlier ones. It has a lightness and resonance which the choir brought out; altogether delightful. The final two works from the Adelaide choir were Twist’s How shall we sing in a strange land, based on a poem by Oodgeroo Noonuccal, “Song of Hope” mixed with words from Psalm 137; and Whitacre’s Leonardo dreams of his flying machine. What a contrast! The Twist composition delivered a beautiful setting for Oodgeroo Noonuccal’s words of loss and sorrow. I thought I could clearly hear the coastal, rainforest sounds you would expect from this Quandamooka woman in the melodies of the words and the song. On the other hand, the Whitacre composition was just straight out fun! And the choir thought so too! They conveyed the flying, floating nature of the work, particularly in the susurrations depicting the wind with a gentle touch of light percussion for emphasis. The concert closed with both choirs singing Tallis’s Spem in alium. This incredibly challenging work was sung in eight small choirs of 5 to 7 singers each. I have to commend Crossin’s conducting! The best way to enjoy this music is with your eyes closed. Talk about wall-of-sound. Eat your heart out Phil Spector,Tallis is better! 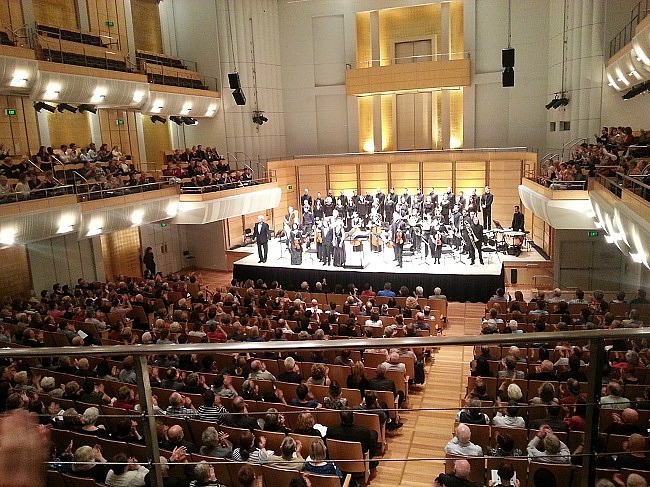 TALE OF TWO CITIES, a superb program of music, performed by the Adelaide Chamber Singers along with the Sydney Chamber Choir was performed at the Great Hall, Sydney University on Sunday 16th June, 2013. This concert will be broadcast on the ABC, so do try and catch it.